You guys. We totally made bratchos. HA! Not only did we make bratchos, we made 2 different versions of bratchos! Heck yes we did! 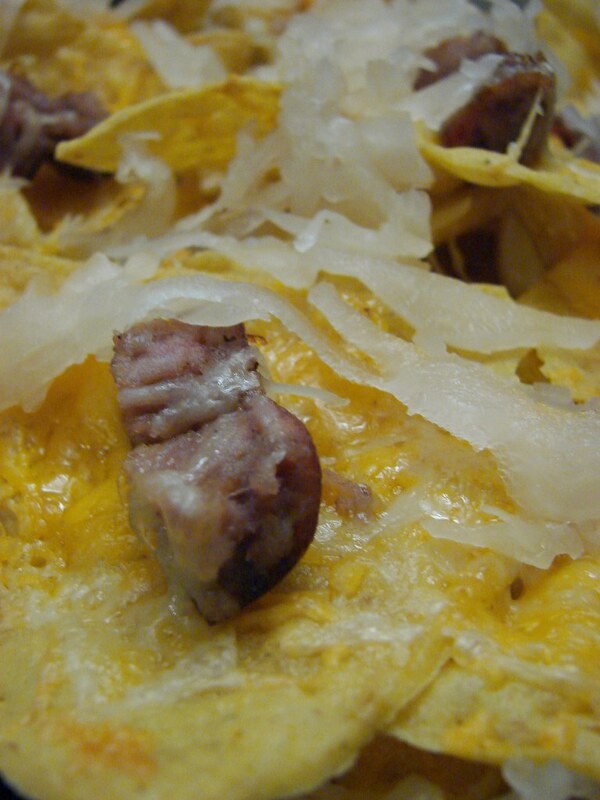 See, when I saw bratchos on the Grizzlies menu, I thought it was pretty brilliant. 2 glorious stadium foods together at last! Visions of sauerkraut and melted cheese danced through my head. 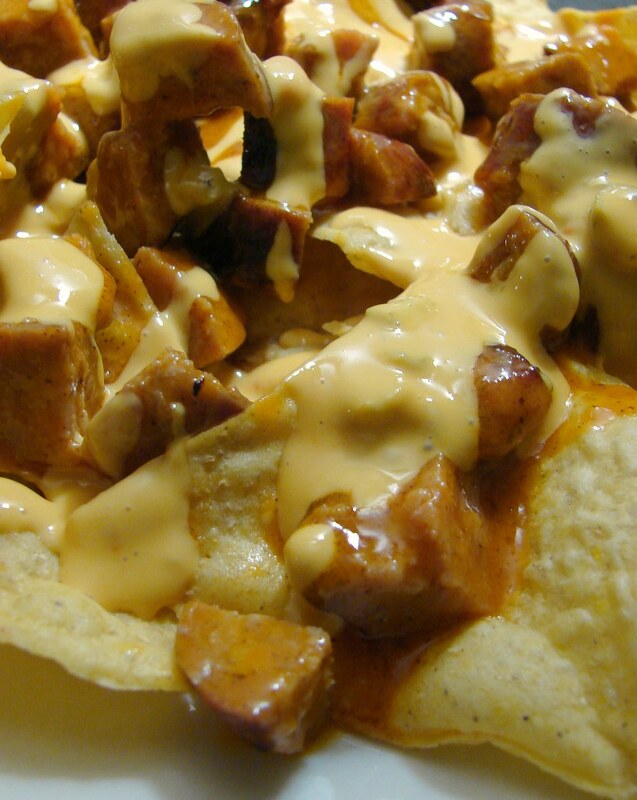 Then I took a look at what the Grizzlies bratchos involved:"A diced bratwurst marinated in tangy buffalo sauce placed on top a boat of tortilla chips and nacho cheese sauce." Wha? I don't put wing sauce and nacho cheese on my bratwurst! This is not jiving with the bratchos of my dreams. But, they were the brilliant inspiration for our dinner. So we had to give props to the original by making them. 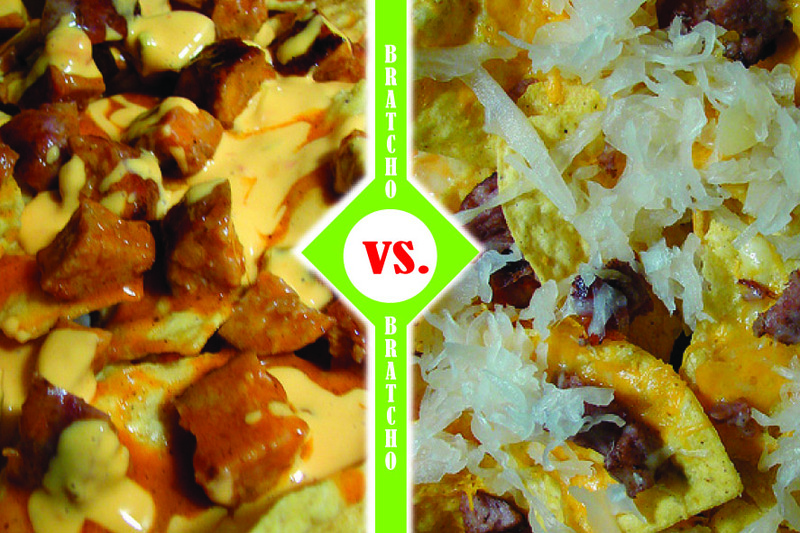 And since I could not deny my own bratcho daydreams, we made bratchos 2 ways...the bratcho battle was ON! The Grizzlies bratchos were just too much. Too salty, too goopy. My bratchos were the clear winner. Melty cheese. Salty, fatty grilly brats, and crisp, tangy, slightly sweet kraut. Home run! Sorry Grizzlies! that's what drool on a keyboard looks like. 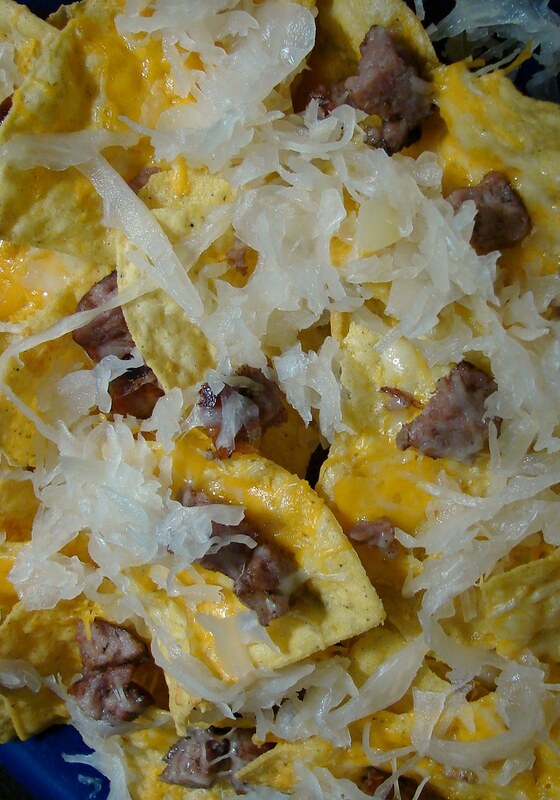 brats + cheese + kraut (+beer) = cheesehead happiness. ali: all on delicious tortilla chips, no less! kristin: how about polish sausage? KIELBACHOS!! !